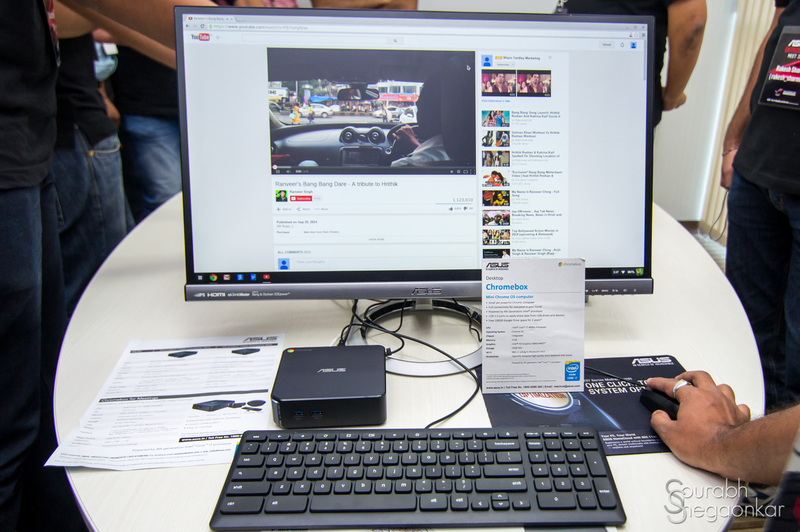 Asus has been conducting these enthusiast meets for the past few years, where it invites tech enthusiasts from all over india and show off their large range of products and also take questions and criticisms. It was the first time I was invited and obviously was really excited. It was the first time I was going for such an event, but also would finally get to meet a lot of the members from different forums that I have been interacting with for a long time. The meet was on the 27th September at their office in mumbai, I had flown in from bangalore earlier that morning along with Ghost_z (techarx team) at around 9:30am.When the event finally started at around 10:30 we first had a few rounds of introductions (that was tough) and some video presentations. Anyways, we then moved to some product discussions. First up, was routers. I was kinda out of my element here as I don’t do much with my router, apart from the basic, but there were others who were “power” users. There was a fairly lengthy discussion about their routers, what some guys use it for and what kind of a user would need a Rs25,000 router. From what I understood, we all soon will be needing more powerful routers sooner rather than later. Most of us (including me) use those basic Rs1500 routers, but as we add more devices to our home networks (mobile devices and smart TVs) , we demand more from our routers. To get good network consistency and performance (which we need if we want to stream video, download, game online simultaneously), we would soon need better quality routers. They are already some good models available in the market, we need not spend 25k, but there are plenty in the range of Rs5000-6000. This discussion did take up a little extra time, so we had to quickly go through some other product profiles (monitors and PCs). 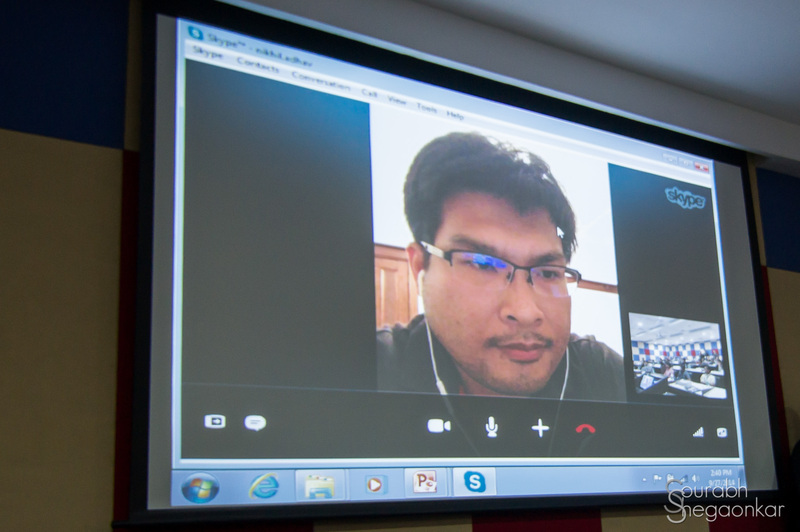 We then had a video call with the head of Asus motherboards R&D division, Mr Jack Cheng. He spoke mainly about the OC socket that is used on their X99 motherboards and answered our queries regarding motherboards. It was really cool that we got to meet some of the real ‘tech’ people, how I wish I had some good questions for them. Extra pins, Extra performance, what? That was my reaction to the first time I heard about the OC socket. It did not make sense, it seemed more like a marketing gimmick to me. But when I read about it, it made a some sense. It was true that the new Haswell E had more socket contact points than before and the OC socket was not just about the CPU socket having more pins, it was a whole package with a lot of changes under the hood. The pins gave the engineers some extra control over various parts of the processor and now you can access settings that were previously not possible. 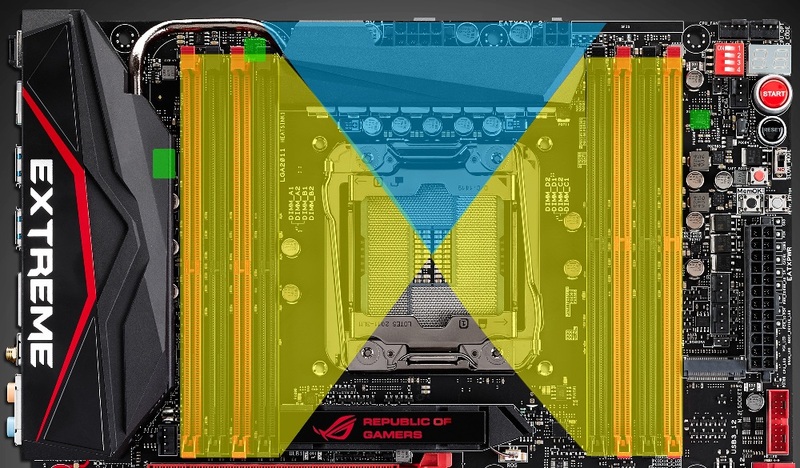 All this means that voltages are now more stable and maybe even lower than without the OC socket, which all in all would result to a better overclock. Monitors – Probably spend most amount of time staring at these 2 beautiful monitors. 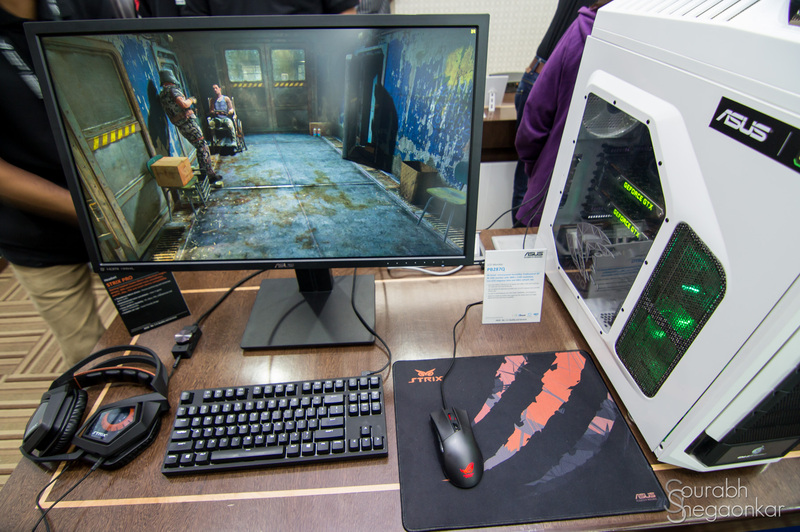 And then we got the 28″ 4k monitor, the Asus PB287Q4K. Price: Rs 54000. The keyboard in the above picture is the STRIX Tactic Pro mechanical keyboard, I just loved using it, had a great feel and the size was perfect. At Rs 7500, slightly outside my budget. Moving over to some motherboards, this baby caught my eye. 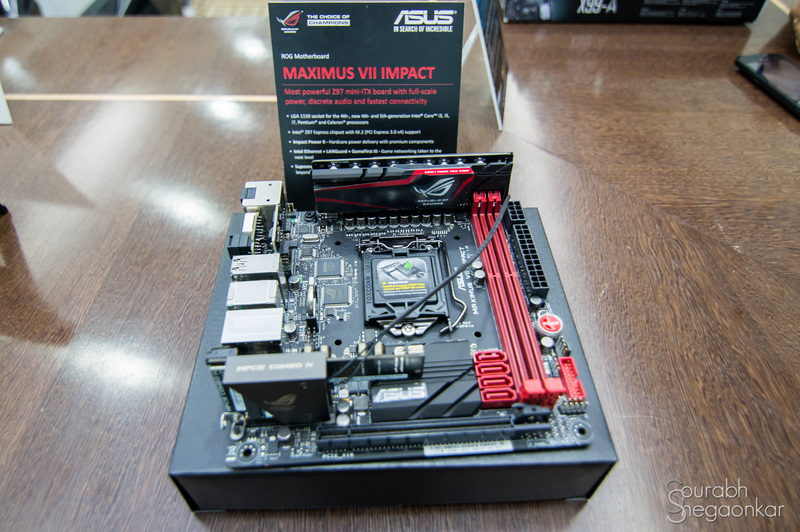 Its the Maximus VII Impact mini ITX motherboard. Its a great board, tons of features and good layout. Pricey. Rs 18399. 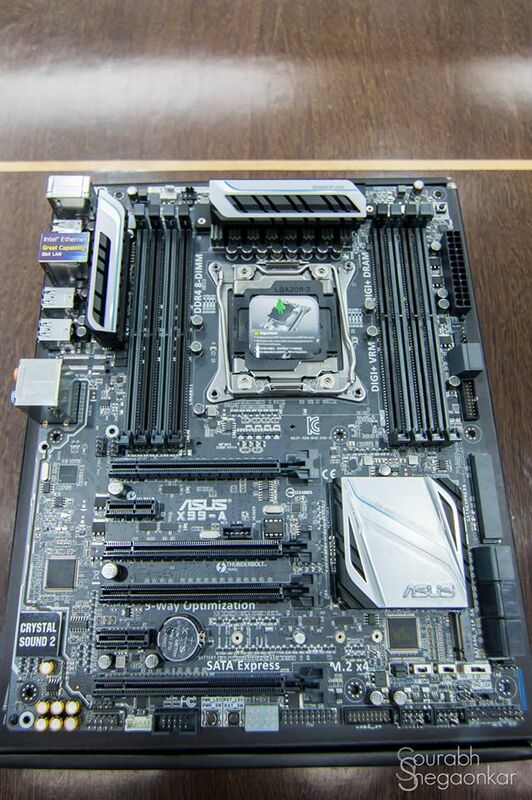 Moving to something bigger, this is the X99-A motherboard, priced well at Rs 22,900. 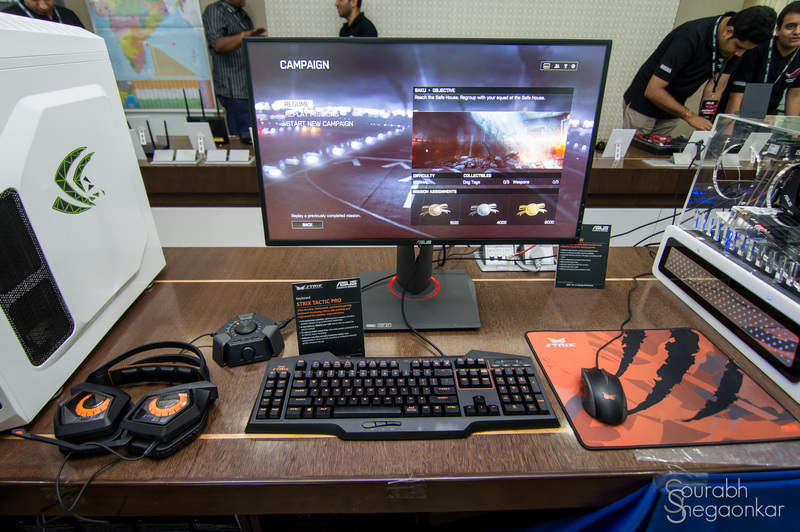 There were other X99 boards as well, the X99-Deluxe and the Rampage 5 Extreme, were getting dressed for the OC session. 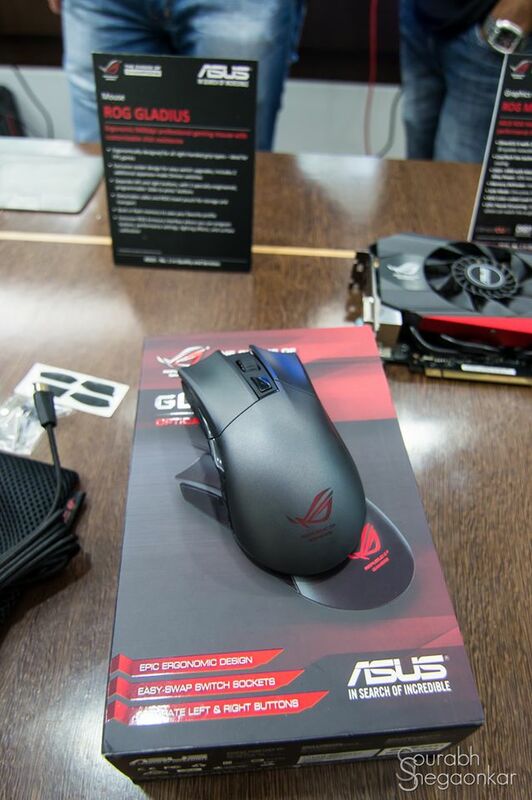 My choice of mouse – ROG Gladious, had a great grip, similar to that of a death adder. No word on pricing though, any guesses ? 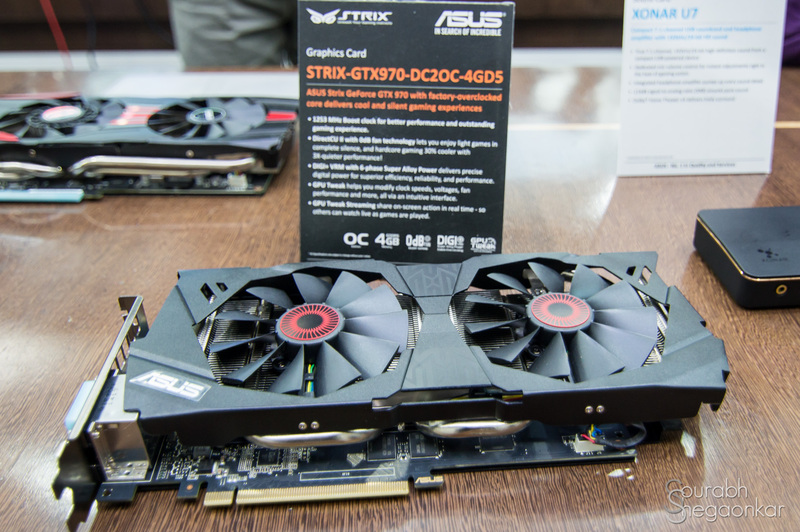 The Strix GTX 970 was on display too. Great looking card and I am sure the performance would match it. Priced very well at Rs 28100. 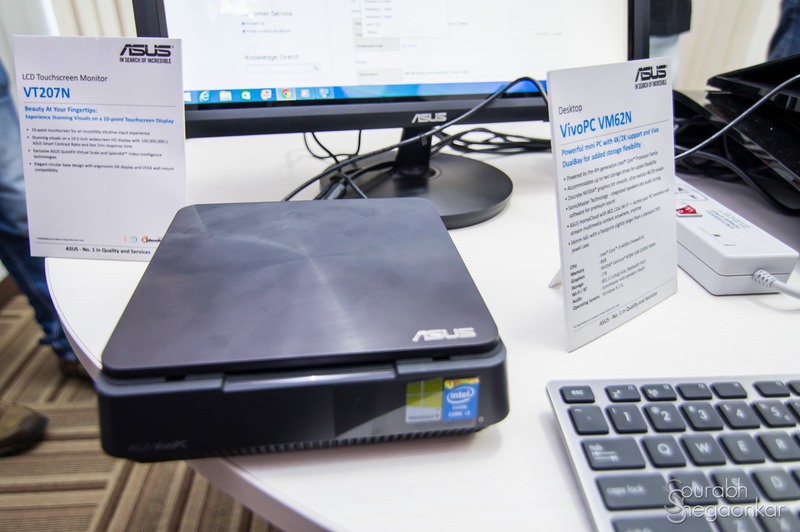 Asus had both the chrome box and Vivo PC on display. Both are very good SFF PCs. The Vivo PC has a really beautiful as well as functional design, also comes with user replaceable HDDs and RAM. This is something I am really looking forward to get my hands on. In parallel to all this, motherboards were being prepared for the much anticipated LN2 OC session. Shatul Durlabhji a.k.a ‘Toolius’, india’s top overclock was here to do the honors. 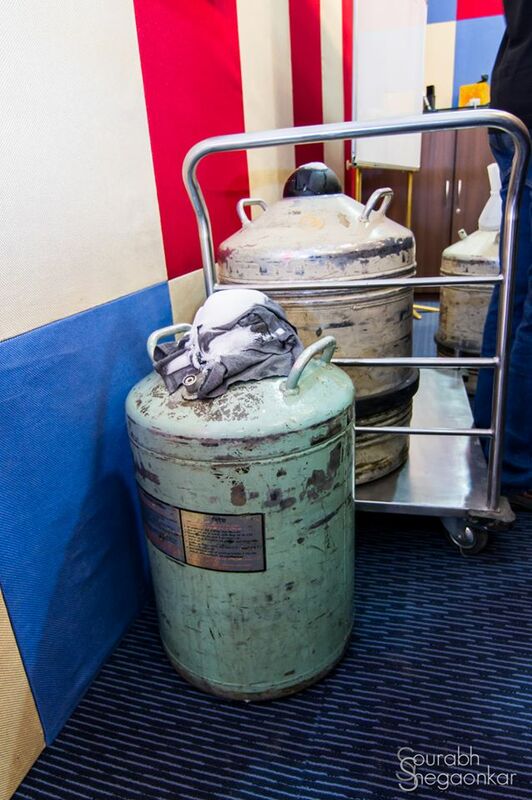 He along with Moksh a.k.a cyberwarfare spent much of their time prepping the Rampage 5 extreme and the X99 deluxe for LN2. Yup, that’s how some geeks like to party! We had to sadly leave the overclocking session mid-way as some of us had a flight to catch. But it was a great experiences, learnt a lot, met a lot of the guys I had been interacting with on the forums from many years in the past. 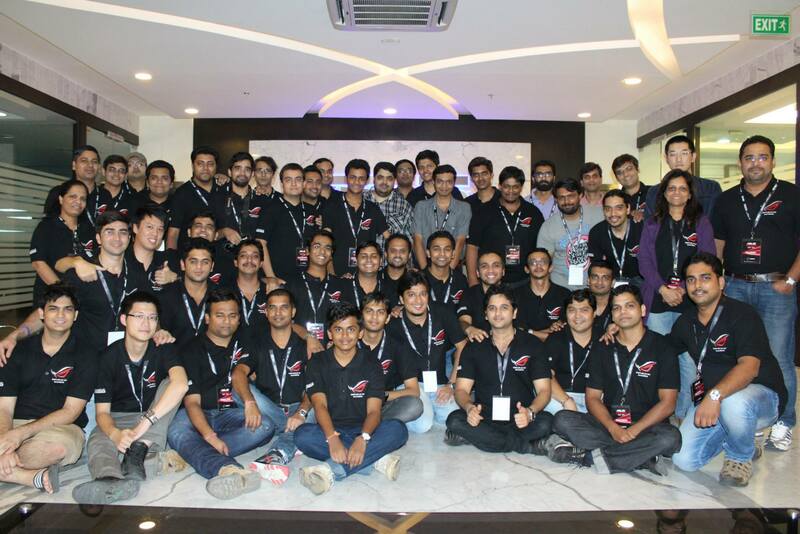 Special mentions to Ghost_z, SumonPathak, ChironX, itsakjit , Xeo, RakeshSharma, Shripad and Bikenstein.Would like to thank the whole crew at Asus for organizing the event, it was really a unique experience. Was a pleasure meeting you all and hope to see you soon again.